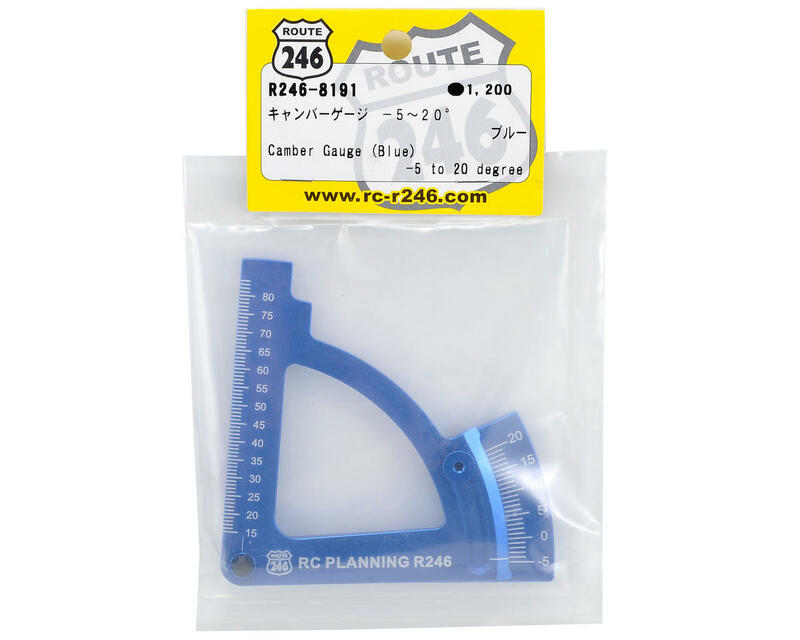 This is a Kyosho Route 246 Camber Gauge. 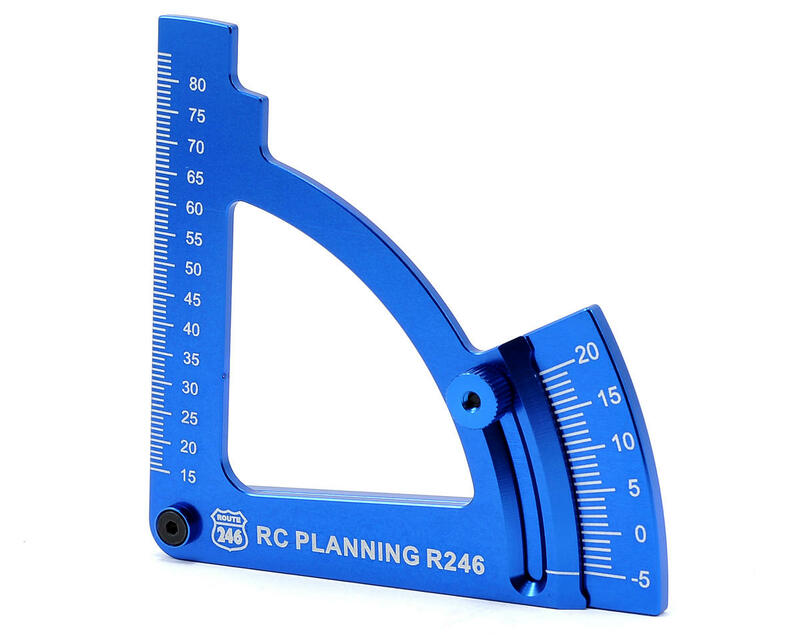 This gauge allows you to measure between +5 to - 20° camber, with vertical measurements up to 85mm in height. Quality top to bottom. You can lock it in firmly to your desired setting and it will hold firm. I couple this with DE setup wheels for off road adjustments and it is a very cost effective solution to off road setup concerns. The blue is a nice royal blue, not sky blue like some cheaper anodizing. The Best Camber Gauge you can buy! Really accurate on my Buggy and Truggy's camber adjustment! I can't race without it! Material and Anodizing is a top notch! not like other cheap gauges around!